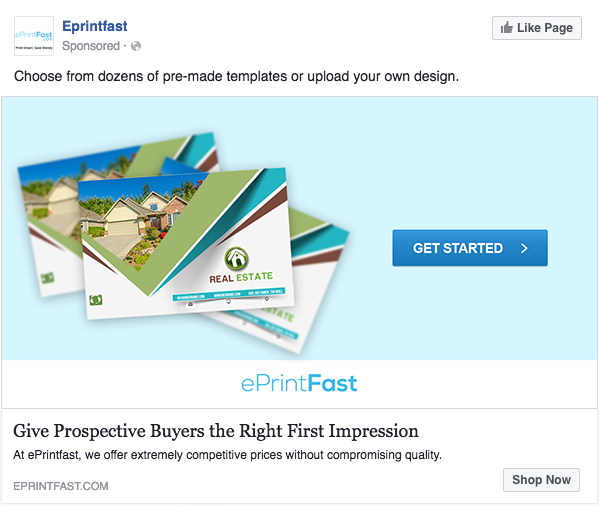 We doubled ePrintFast's leads through Facebook marketing. 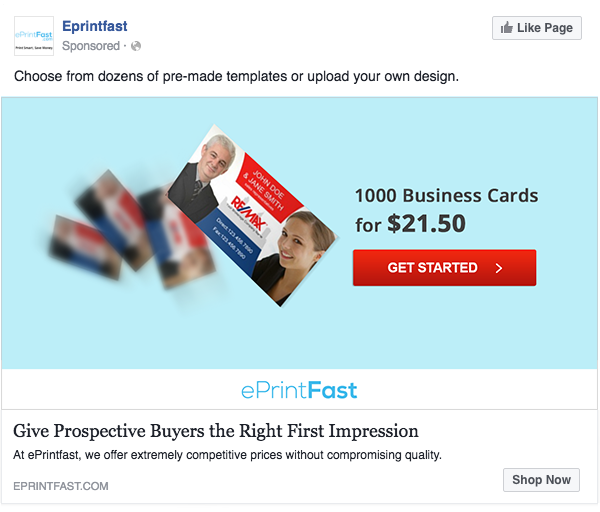 We were looking leverage new Facebook opportunities for ePrintFast, a high quality source of business cards, postcards, and general marketing materials. Our initial campaign was growing leads, but we wanted more. Based on our experience, we saw that would make our campaign more targeted. So we went after real estate agents individually, with each being served a custom set of ad creative, copy, and business card templates. We wanted potential customers to know that a perfect business card template was already waiting for them. 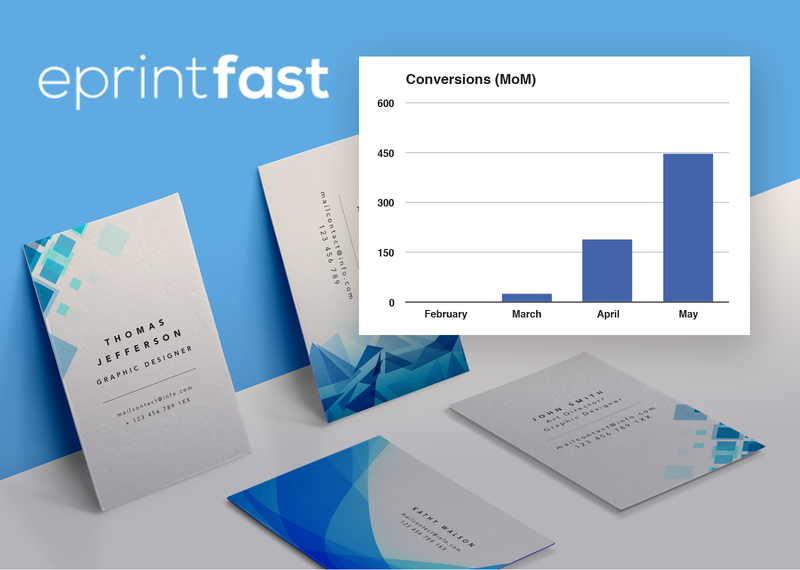 Doubled ePrintFast leads from Facebook in half the time of the previous campaign. We saw Month-over-month growth in leads from our general campaigns from launch in early February to when it was turned off in early May. Once the general campaign was turned off and we broke up the campaign into different ad groups, targeting individual agents, we saw twice as many leads come in. The first step was to create new ad groups, so we could target individual agencies. By creating audiences of agents who worked at RE/MAX, Royal LePage or Keller Williams, we could specifically target them with different and more relevant messaging. 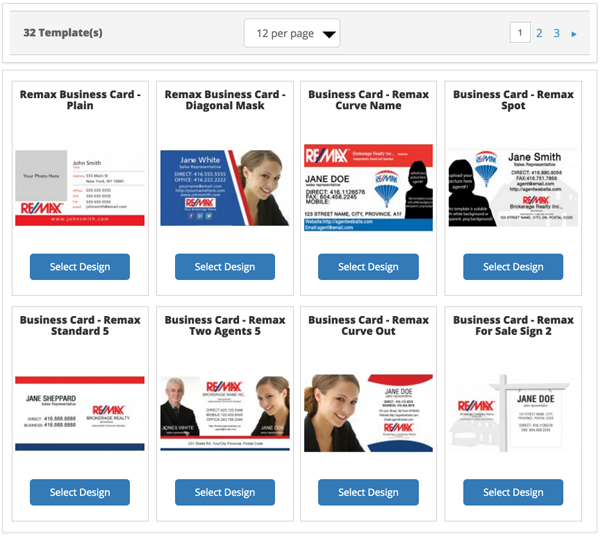 Once we had targeted ad groups in place, we needed to customize the creative so a RE/MAX agent would see a RE/MAX business card template being advertised. We applied individual creative to all the real estate companies we were targeting. To further hone in on the audiences we were targeting, the ad copy also needed to be updated to reflect the company we were speaking to. Finally, we used specific URLs for each ad group so the ads could be sent to the respective product pages of each agency. If you were RE/MAX agent you would be directed to a designated RE/MAX product page, with only RE/MAX templates. This applied to all respective brands that we targeted.